In addition to these necessities, The Pantry also offers pet food for your furry family members! If you need to pick up an item or two, stop on by and we will be more than happy to assist you. 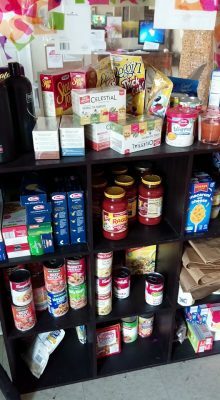 The Pantry is supported through donations by people like you, and anyone can donate regardless of enrollment at OECC. All you need to do is bring your donation to OECC and we will take it from there. Our families thank you for your generosity and continued support.